Drawing up some new year's resolutions? Top careers coach and motivational expert James Sweetman offers 16 key questions to consider as you set out your priorities for the year ahead. January is synonymous with making resolutions, usually to do with losing weight after the excesses of the Christmas season. This year why not seize the opportunity and make some ‘New You’ resolutions instead. In today’s hectic world there are many demands on our time and attention. Without conscious effort it is all too easy to sacrifice what really matters most to us as daily urgencies that priority. The questions that follow will encourage and challenge you to establish (or re-establish) your priorities for the year ahead. So why not grab a pen and paper and maybe a mug of something warm and give yourself the gift of reflection and focus going into 2013. 2. What would you like to be your biggest achievement in 2013? 3. In 2013 what can you do to further enhance the quality of the significant relationships in your life? 4. What would you be most happy about completing in 2013? 5. What major indulgence are you willing to allow yourself to experience in 2013? 6. What would you most like to change about yourself in 2013? 7. What are you looking forward to learning in 2013? 8. What do you think your biggest risk will be in 2013? 9. In terms of your work/ career, what are you most committed to changing and improvingin 2013? 10. What would you like to stop doing (or have to do less of) in 2013? 11. What would you like to do more of (or do more consistently) in 2013? 12. What is one as yet undeveloped talent you are willing to explore in 2013? 13. What brings you the most joy and how can you connect with that more purposefully in 2013? 14. What have you always dreamed about, but have put off or felt too scared to try, but could attempt in 2013? 15. Who or what are you most committed to loving and serving in 2013? 16. What one word would you like to have as your theme in 2013? This simple question is a great way to focus the mind and it is the foundation of all goal-setting exercises. What do you want your life to be like in 2013? What do you want in terms of your relationships, your career, your health and well-being, your finances and your friendships in 2013? 1. 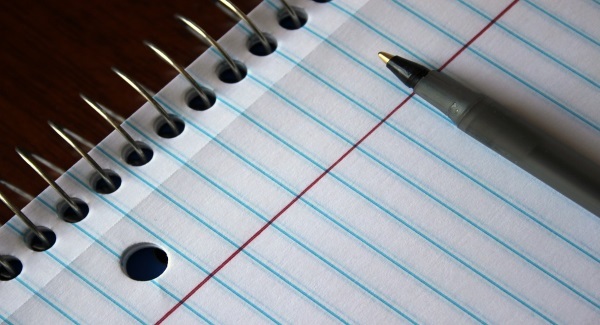 Write down your goals for 2013 – ‘ink them don’t think them’. Seeing them written down, they become more real. 2. Make sure your goals have a positive intent. For example, ‘losing weight’ is not a positive goal, having a ‘healthy lifestyle’ is. 3. Incorporate your goals into your daily or weekly ‘to do’ lists, so working towards them becomes part of your working day. 4. Share your goals only with those friends and colleagues who you know will be supportive. 5. Monitor your progress and if you are not getting the results you desire then alter your behaviour. Remember, the definition of madness is doing the same thing over and over again and expecting a different result! If you answer the above questions and forge goals for yourself going into 2013 you are doing something that the vast majority of the people never do. Remember, we get what we focus on, so in 2013 let what you focus on be what’s most important to you. James Sweetman is a Business & Personal Coach specialising in assisting businesses and individuals realise their potential. His personal coaching work includes helping clients prepare for interviews, boosting self-confidence and enhancing career and personal fulfillment. He also works with groups on a range of topics including Communication & Presentation Skills and Motivation. For more information on all his services visit www.jamessweetman.com.